One of the most anticipated large-scale arts events coming to New York City this summer is also one of the most socially conscious. The Water Tank Project is an initiative founded by documentary filmmaker Mary Jordan, whose international travels have shown her the value of clean drinking water in developing countries. This summer the project will be curating a series of rooftop art shows to get people talking about the importance of clean water globally. Upon returning to New York after a trip to Ethiopia, Jordan was captivated by the countless rooftop water tanks the city boasts; each one looked like a blank canvas just waiting to be turned into something meaningful. In hopes of raising awareness about water consumption globally, The Water Tank Project has asked dozens of renowned and emerging artists to create water-themed works on the tanks. 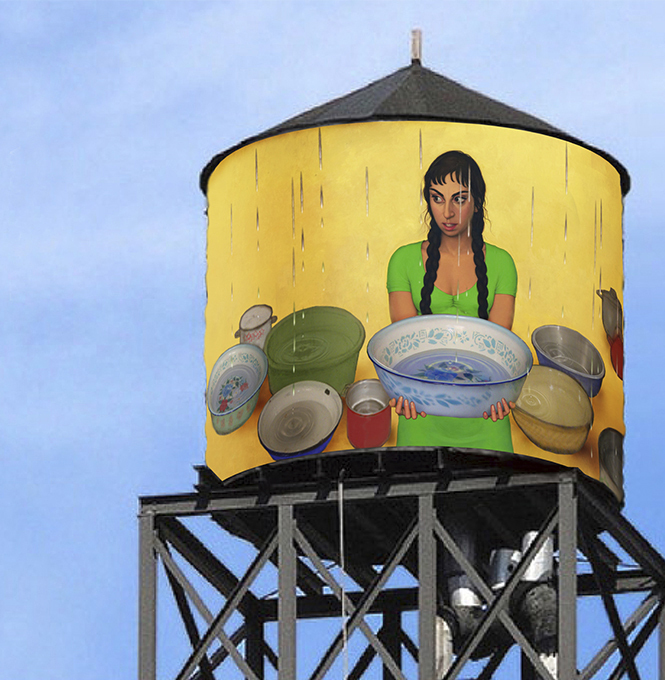 These original pieces of artwork are part of The Water Tanks Project’s mission to get people talking about the importance of clean water globally. It’s a humanitarian effort disguised as a citywide art show, complete with panel discussions, parties, and the perfect platform to raise awareness and funds to provide clean water in developing countries. Explains The Water Tank Project, “artwork by acclaimed artists and New York City public school students will be wrapped around 100 rooftop water tanks across all five boroughs, celebrating the talents of established and emerging artists, and calling attention to the global water crisis,” of the arts initiative. 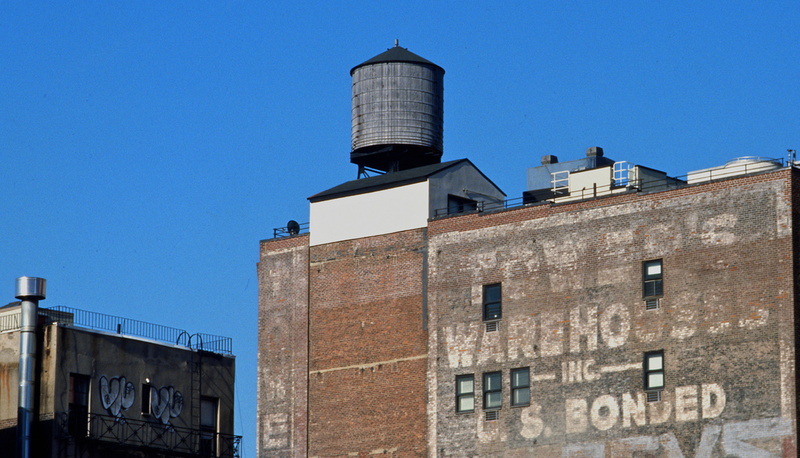 The Water Tank Project team has reached out to artists and designers such as Jeff Koons, Catherine Opie, Prabal Gurung, Carrie Mae Weems, Laurie Simmons, Maya Lin, and dozens of others; with such notable talent taking part in the project, the painted water tanks will be sure to add depth, color, and originality to New York City’s skyline. “Our aim is to produce art as social intervention, to inspire awe and joy, to educate, and to alter attitudes and habits among those who experience The Water Tank Project,” explains the team behind this incredible artistic happening. Learn more and get involved at wordabovethestreet.org.